Last Day of Finishing Touches... I promise! 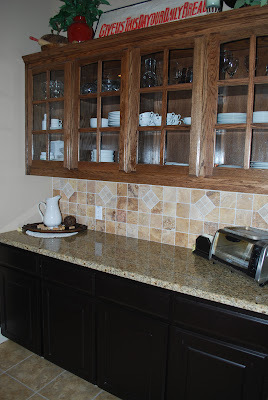 In our Kitchen, I basically had to convince my husband and our builder that black and dark oak cabinets would actually look good... or at least I think so. They were trying to convince me that the bottom cabinets needed to be a shade of white if we were going to have them painted. I stuck to my guns and am so happy I did.... they even started to see my vision once it was completed. I love the way it turned out and would not change 1 thing. 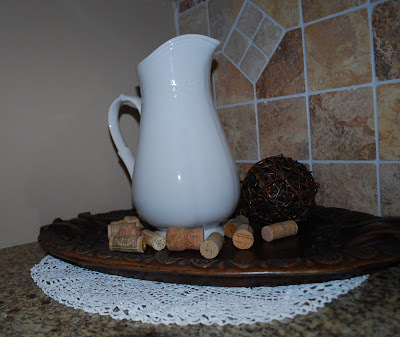 I love accenting with white dishes... I think it is just so simple and elegant. They go with just about everything and no matter what the occasion, you can always add a splash of color with other things like linens and other decor. 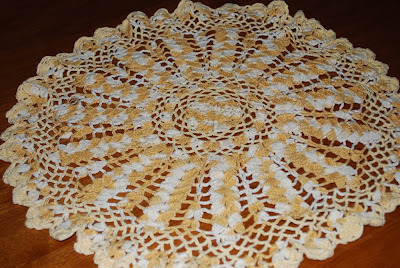 I really enjoy displaying my great grandmother's doilies that she made. 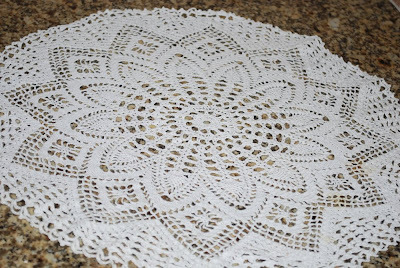 I never met my great grandmother as she lived and passed in England, but my grandmother did give me a few of her cherished handmade doilies. I also did get to talk to her once on the phone when I was a little girl and I still remember her british accent. She did such beautiful work. Paige and Matthew's little table and chairs that I recovered in the red dottie vinyl coated fabric by Moda Home. 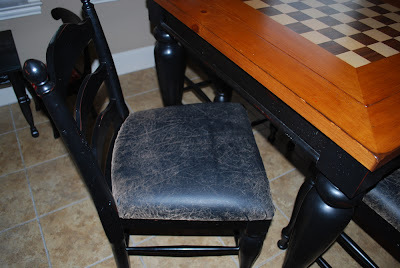 I also re-covered these chairs with a faux leather... much easier for spills. 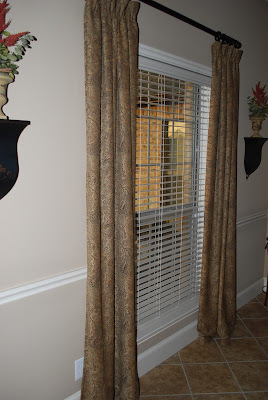 I was able to use two of the panels as they were in our dining room. The rest of the fabric I re-purposed into pillows for our living room so that all three of the main rooms coordinated in some way. I loved these posts! You have done such a wonderful job with your house. Thanks for sharing it with us! 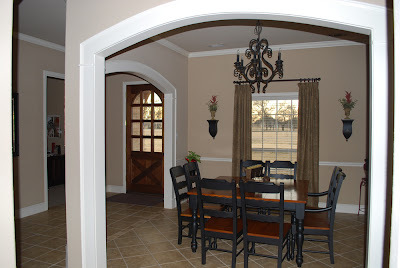 I am enjoying reading your blog and seeing how you have decorated your new home. OH MY I would have not done black cabinets either but NOW I would they are beautiful!!!! 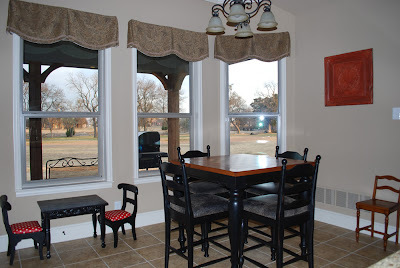 and the breakfast area is wonderful, love how you recovered the chairs. Perfect. 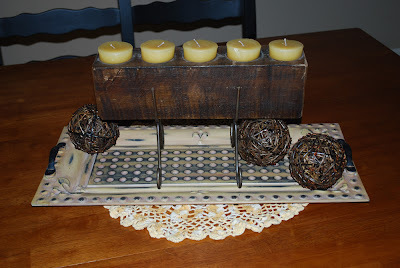 Thanks for sharing this with us and I am looking forward to more home dec projects!!! I loved your tour, Angela! Your home is so beautiful, inside and out. I love how you have your sofa angled in your Day 4 post - I'm an "angler" too. Amazing what it does for a room. Love all your colors, especially the colors in your daughter's room. THe pink and chocolate is so beautiful! It's so sophisticates and cute at the same time. Thanks for the tour... that was fun! Happened upon your blog via Jen Duncans blog. Wow, you work for Moda! That sounds like a super fun job. 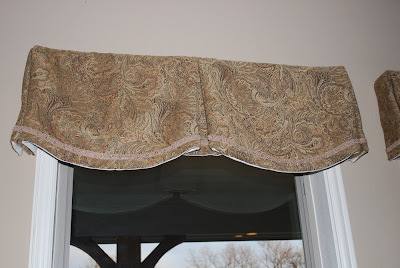 .I love their fabrics. Your house looks so cute. You have done a nice job decorating it. I love that you used black for the bottom cabs. White would have been too stark. 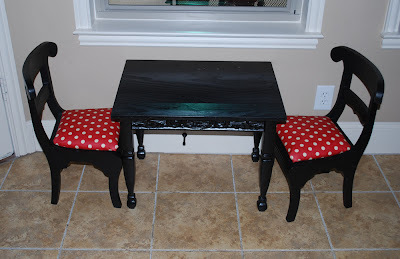 I sooooo want to learn how/ have time to/prioritize to make/reupholster something in that red dottie fabric!! Between you and Camille.... I am dieing here! I LOVE your (front?) door. 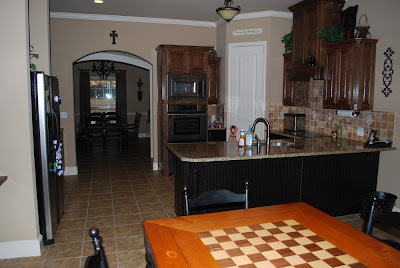 Choosing different types of oak cabinets and discount kitchen cabinets is helpful when you order kitchen cabinets online.